We’ve been covering Ultimate Ears speakers for years. 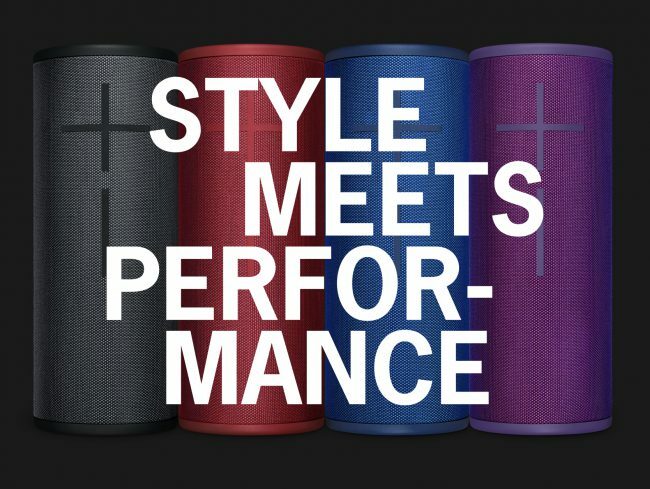 Their original BOOM speaker was great, and the evolution of those speakers, as well as the growing portfolio of designs in the lineup, continues to impress. Their latest, the UE MEGABOOM 3 is no different. At $199.99 it is loud, sounds great and is packed with features. It is one awesome speaker! All of that is true, but it doesn’t fully capture the many reasons this is such a great speaker. 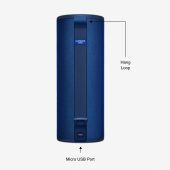 The MEGABOOM 3 maintains the now iconic cylindrical design that first emerged with the BOOM. LIGHT-SHIFTING FABRIC: MEGABOOM 3 are covered in a two-tone fabric that’s as tough as it is hot-damn beautiful. Engineered for applications like motorcycle jackets and fire equipment, this performance textile is built for extremes. And colored two ways by our custom dying process, it comes to life in a range of drool-worthy iridescent themes. On the front of the speaker are the same oversized volume buttons that the entire line has employed from the beginning. My review sample is black, so the black volume buttons aren’t so obvious. On other models, however, the buttons are quite obvious. Toward the bottom of the speaker, there is a rubber door that opens to reveal the micro USB charging port. This is striking for two reasons. First, it is interesting that in a new 2018 design Ultimate Ears opted to stay with micro USB when so many companies have moved to USB-C. This isn’t a problem, especially since the company includes a micro USB cable and a wall adapter, but it does make the speaker a bit less “current.” It is also worth noting that the UE MEGABOOM 3 loses the 3.5mm jack that previously allowed for wired connections when wireless connectivity might be an issue. Again, that isn’t a big deal but is worth noting since it is a change from previous models. 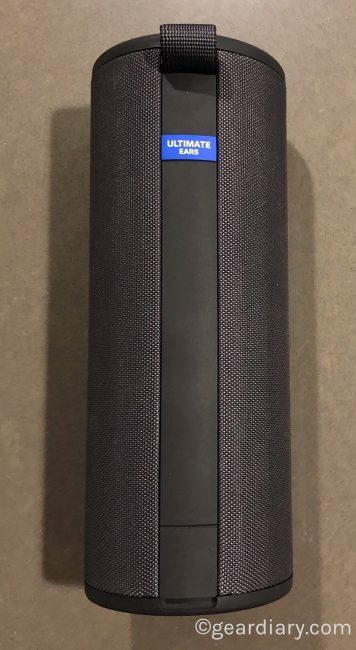 It is also worth noting that, unlike the MEGABLAST I reviewed some months ago, the MEGABOOM 3 doesn’t have WiFi and the ability to connect to Amazon’s Alexa voice control system. That means the MEGABOOM 3 is designed for use via Bluetooth and only Bluetooth. That works just fine for me, but if you are looking for a speaker that can connect via an audio cable, or you want to stream music over Wi-Fi, you will want to look at some of the company’s other models. On top of the speaker, you will find the power button, a Bluetooth pairing button, and the new Magic Button. MEET THE ALL-NEW MAGIC BUTTON: With MEGABOOM 3 you can play, pause and skip tracks directly on the speaker. Just push for convenient control of any streaming music. Or program and navigate custom one-touch playlists for Apple Music® and Deezer® Premium. Match the moment with the vibes without reaching for your phone. I didn’t think much of the Magic Button when I first unboxed the speaker, but the more I have used it, the more I have found it to be a great feature rather than a marketing gimmick. 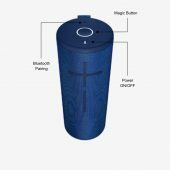 Since, unlike the MEGABLAST, the MEGABOOM 3 doesn’t have Alexa Voice Control, the minimalist button design of this speaker could be a problem. 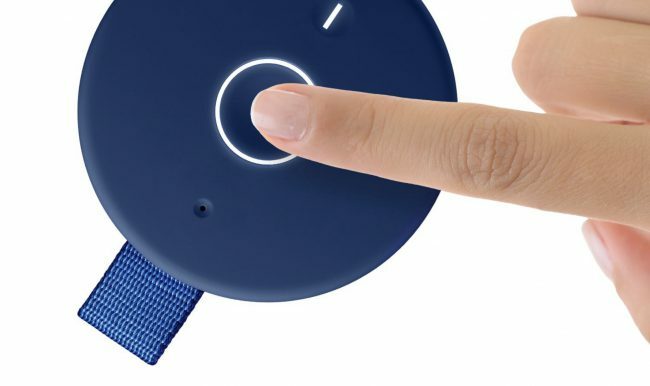 The Magic Button solves that by adding a programmable button to the top of the speaker. Sure, you can use the button to play, pause and skip tracks but the real magic happens when you use the Ultimate Ears app to configure the Magic Button. I set it to connect to a couple of my favorite playlists and now, when I push the button, it simply starts playing without the need to go into my phone and tap tap tap. 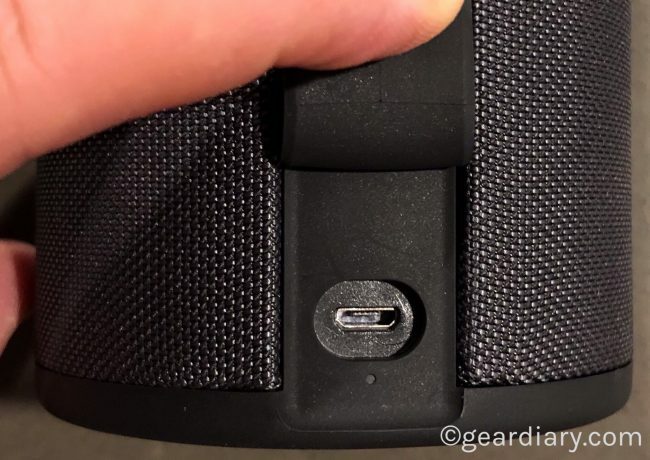 At the bottom is a contact point for use with Power Up charging dock. It is a separate purchase but is a great way to keep the speaker charged while making it simple to grab and go when you are heading outside. The only other point of design interest is the woven loop of material toward the top of the speaker. It lets you hang the speaker on a hook or, if you have a carabiner clip, secure it to any number of things. This is great if you want to hand the speaker from a tree or, for example, if you are using it on a small sailboat and want to make sure a large wave doesn’t know it over the side. 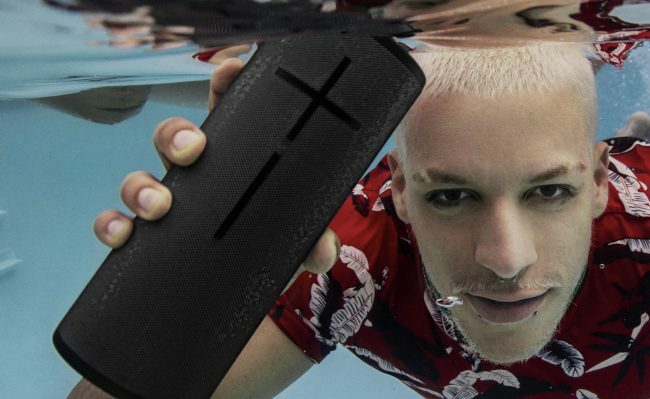 And did I happen to mention the UE MEGABOOM 3 is not only waterproof but also floats? You read that right. The speaker has an IP67 rating which means it is water and dust proof and can be submerged in water for up to thirty minutes. And if you are using on a raft and if falls overboard there’s no need to worry. The speaker also floats! 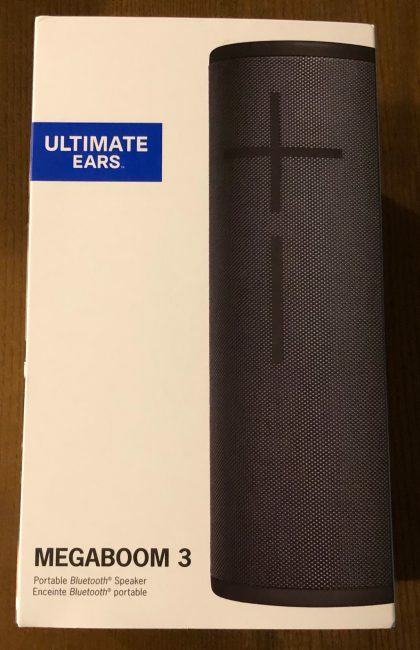 As someone who has a pool and spends a good bit of the summer in it, Ultimate Ears speakers have long been my speaker of choice when we are heading outside and, next summer, this is the speaker we will be using! Before addressing the question of sound, let’s cover a few more relevant aspects of the speaker. Battery Life: Ultimate Ears speakers have always gotten great battery life. 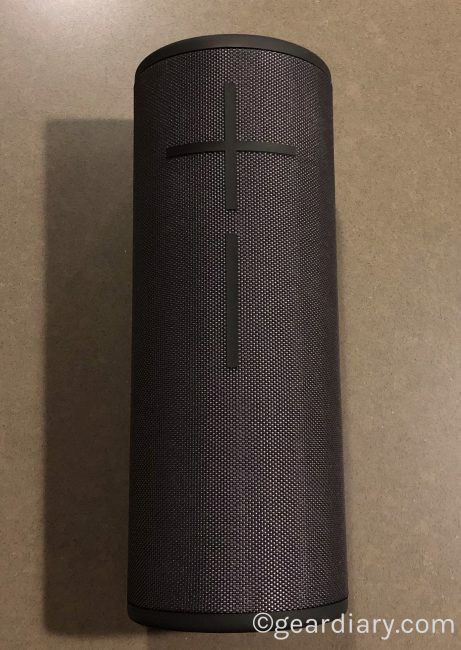 The MEGABOOM 3 is no different. It employs the latest battery cell technology (UE notes this is the same technology used in electric cards) and, as a result, gets up to twenty hours of playback on a single charge. That’s more than enough to use a single speaker with a single charge for the entire day and still have plenty of battery life remaining. Block Party: Using the BOOM and MEGABOOM app you and up to two friends can connect to the speaker and have a competition to see who is the better DJ. More than that, however, it means multiple people can have control of the tunes that are being played. PartyUP: PartyUP, as feature missing on the MEGABLAST, lets you pair your speaker with over 150 other Ultimate Ears speakers. 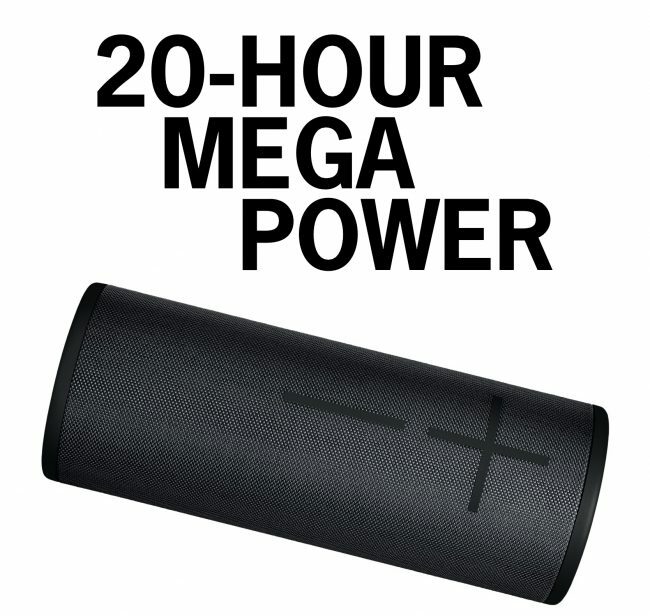 That means you can connect multiple MEGABOOM 3 speakers or, more likely, pair your MEGABOOM 3 with BOOM, BOOM 2 and other similarly enabled speakers. All of this is accomplished using the UE app. App: The free UE app is used to create and control Block Party and PartyUp, but it does much more. It lets you adjust the EQ on the speaker, configure the Magic Button, set musical alarms and, my favorite features, turn the speaker on remotely. I love being able to turn the speaker from a distance using only my phone. Power Up: I already mentioned the Power Up charge and go dock, but it is worth mentioning again. 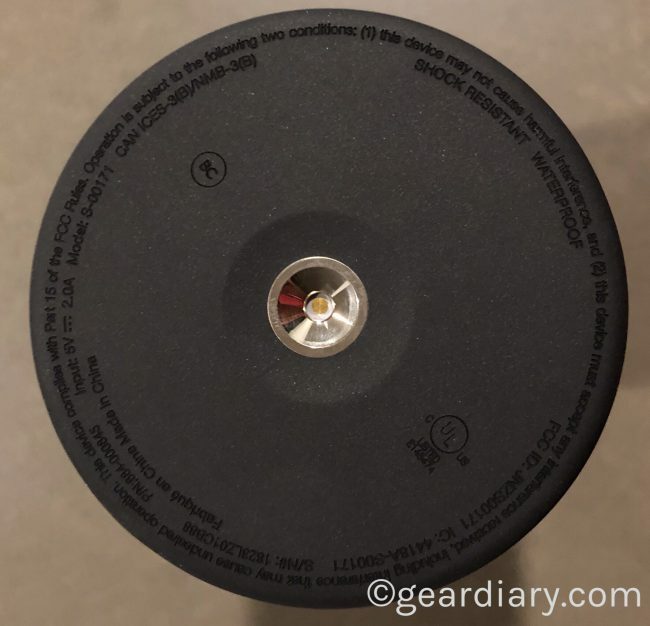 This small circular base creates a stand for the speaker that, when the two are together, recharges the speaker without the need to plug and unplug a cable. It is a few extra dollars but I can vouch for the fact that it is definitely worth the extra expense. 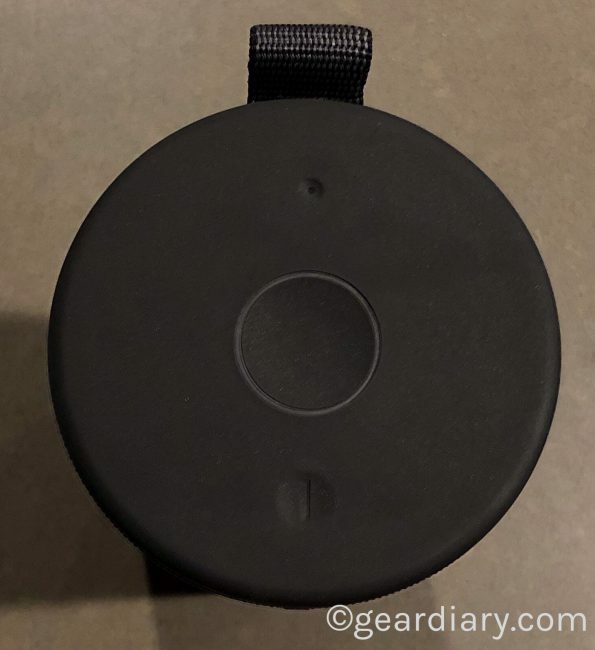 Pairability: The fact that the MEGABOOM 3 can only connect to an audio source via Bluetooth is a bit of a limitation, but there is more to this than meets the eye. The speaker can pair with up to eight different devices and can connect to two devices at the same time. Also, the MEGABOOM 3 has a range of up to 150 feet. That means you can be a good distance away from the speaker and still get great sound. 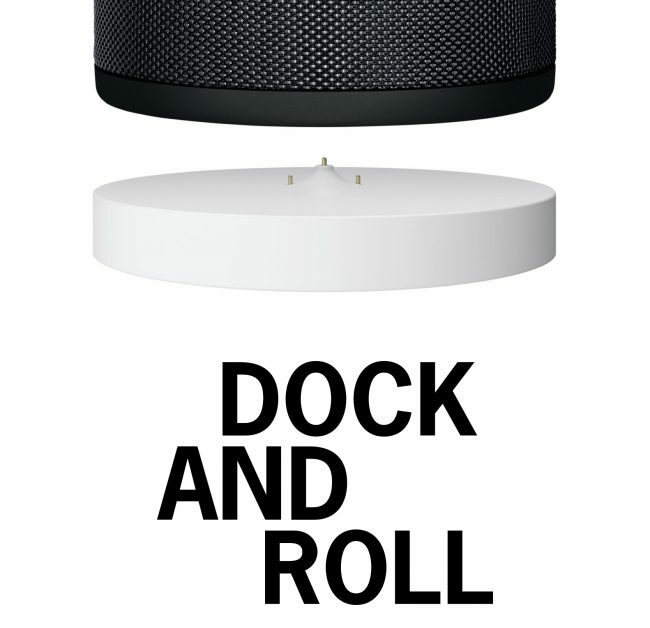 Size and Specs: The speaker is 3 3/8” in diameter, 8 7/8” tall and weighs 925 grams. It has two 50mm drivers and two passive radiators. All this, of course, is irrelevant if the speaker doesn’t sound good. 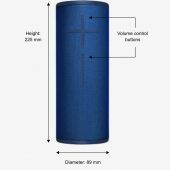 Thankfully, while Ultimate Ears has made some significant changes to this new generation of the MEGABOOM speaker, the great sound quality that has been the hallmark of the entire line remains unchanged. I think the MEGABOOM 3 sounds even better than its predecessor. SPATIAL 360° SOUND: In MEGABOOM 3 we’ve perfected the iconic cylindrical design we pioneered to deliver immersive, stereophonic audio that radiates evenly in all directions. Also, while the BOOM sounds great, the MEGABOOM 3 is significantly larger, and yields sound that is 50% deeper than its smaller sibling. That’s no small thing since the BOOM already sounds great. The result is sound that will fill the room, is well-balanced, and doesn’t distort even when you push it to the extreme. (Trust me if you care about your hearing you aren’t going to want to put it at full volume, but it is nice to know you could.) They have developed and tweaked their sound processing technology, and this speaker is the next iteration putting it to good use. The company has years of experience finding the right balance and sound signature and all of their acquired knowledge shows in the MEGABOOM 3. In short, this speaker is awesome. It is a great speaker if you need something to use outside or when on the go. It is a great speaker to use in a home or work office. But, more than that, it is simply a great speaker. The sound it delivers is extraordinary. The battery life is superb. The durability is second to none. And the fact that you can pair it with other UE speakers means you can get ever bigger and widespread sound if need be. This isn’t advertised as a multiform speaker, but the ability to connect multiple speakers does put it into that category too. Best of all, this is a no compromise speaker that is priced under $200. I love it and have no doubt you will too. Check it out here.